Lions Clubs International is the largest organization of service clubs in the world whose primary mission is preventing blindness and supporting services for the blind and visually impaired, goals that often overlap with the goals of the Sight Center of NWPA. 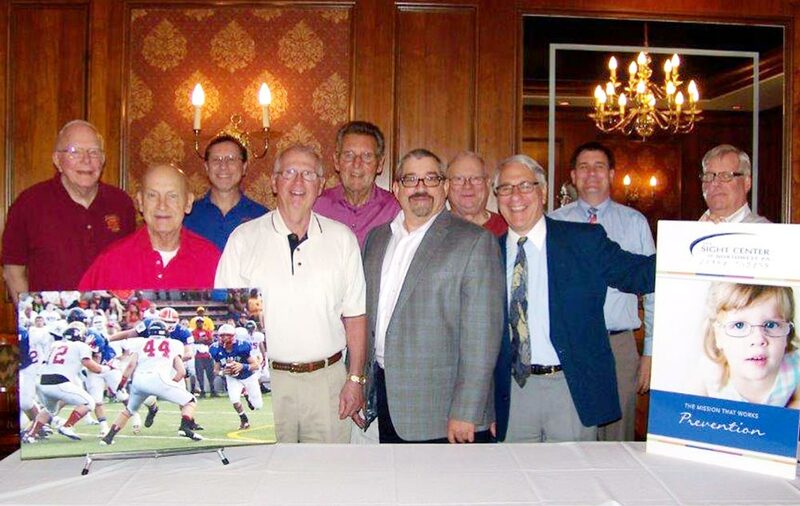 In our region, the Sight Center cooperates with the Lions and Lioness Clubs of Lions District 14-F to accomplish our mutual efforts, working closely with the Lions Club of Erie by supporting the annual Save-an-Eye football game. Many Lions Clubs in District 14-F provide financial support to the Sight Center since the Sight Center is a recognized District 4-F project. In turn, the Sight Center supports the goals of the Lions Clubs by conducting Vision Screenings and assisting in providing eye glasses to low income clients of various Clubs in the District. The Erie Lions Club and the Sight Center have a symbiotic relationship that has existed for more than 50 years due to their mutual service goals. Using dollars raised by the annual Save an Eye All-Star football game, the Erie Lions Club supports eye care for needy children and adults through the Sight Center’s blindness prevention program. The Erie Lions Club provides funding and the Sight Center provides the professional expertise and staff to manage these services. The Save an Eye Fund also provides support for other, non-budget needs of the center such as capital equipment and pilot projects. Some of the Sight Center staff are active in promoting the annual football game and the Center itself is home to many Erie Lions Club projects.